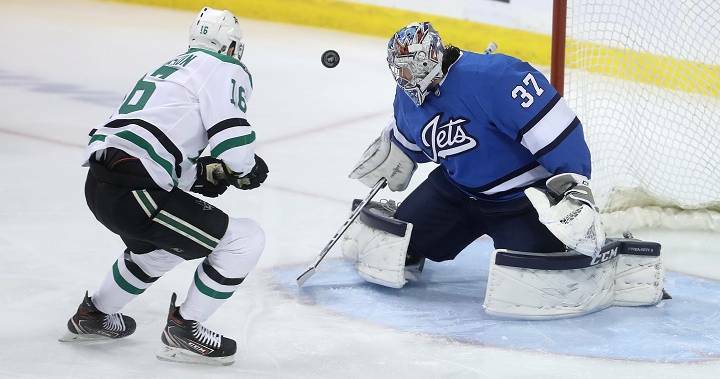 Tyler Seguin and Radek Faksa each scored twice as the Dallas Stars ended a two-game losing skid with a 5-2 victory over the Winnipeg Jets on Monday. Esa Lindell also had a goal and Alexander Radulov contributed a pair of assists for the Stars (39-31-6), who continue to hold the first wild-card spot in the Western Conference. Ben Bishop stopped 21 shots for Dallas to record the 200th win of his career. Kyle Connor had a goal and one assist and Patrik Laine ended a 12-game scoring drought for the Jets with his 30th goal of the season. Connor Hellebuyck made 32 saves for the Jets (45-27-4), who still sit in first place in the Central Division, two points up on Nashville with a game in hand. Dallas dominated the second period, scoring three goals in a less-than-five-minute span. The Stars got their first power play of the game early in the second and couldn’t capitalize on five shots, but a minute after it expired, they hit their stride. Lindell’s shot from the top of the circle went by Hellebuyck’s blocker at 10:27, although it appeared the puck might have been tipped by Faksa. The Stars then had a two-man advantage, and Seguin notched his 30th goal of the season with a shot on the blocker side at 15:16. Seguin has scored 30 or more goals in five of his last six seasons. Winnipeg responded with a burst of life 29 seconds later as Connor notched his 33rd goal of the season, which followed up the hat trick and one assist he had in Winnipeg’s 5-0 victory over the Predators last Saturday. Winnipeg plays the third game of its four-game homestand Thursday against the New York Islanders. Dallas goes to Calgary on Wednesday to play the second contest in a four-game road trip.